Moderate 2U and moderately low impact 1A biaxial K Series and triaxial H Series feet are now available in medium-height heels. Integrated EVA foot shells can be custom molded to fit almost any style shoe. The full-span elastic keel and toes can be cut and refashioned for split-toe shoe designs. Image matters. Dycor…renewing lifestyles. Ottobock's 3R67™ children's knee joint is a prosthesis with hydraulic stance and swing phase control specifically adapted for young users. The knee meets the everyday demands of children during a myriad of activities, including different walking and running speeds, and a flexion angle of up to 150 degrees for maximum freedom of movement. For everyday use, it can be worn with the robust 1K10 foot. For more information, visit www.professionals.ottobockus.com. 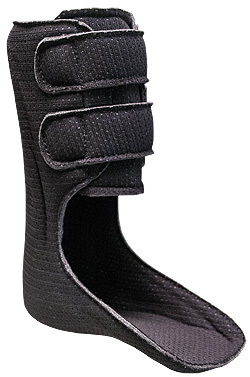 Our accommodative foot orthotics are specially designed for patients with foot deformities. We offer a variety of materials for foot conditions such as neuropathy, Charcot foot, edema, or amputation, or conditions resulting from health issues like obesity, diabetes, sports injuries, or heart conditions. Custom-made foot orthotics provide support and relief wherever necessary. Apis provides qualified customers with a free 3D scanner to eliminate impressions or casting-now it's just a click. Fulfill all of your pedorthic needs under one roof. Call our friendly customer service representatives for more information or free samples.